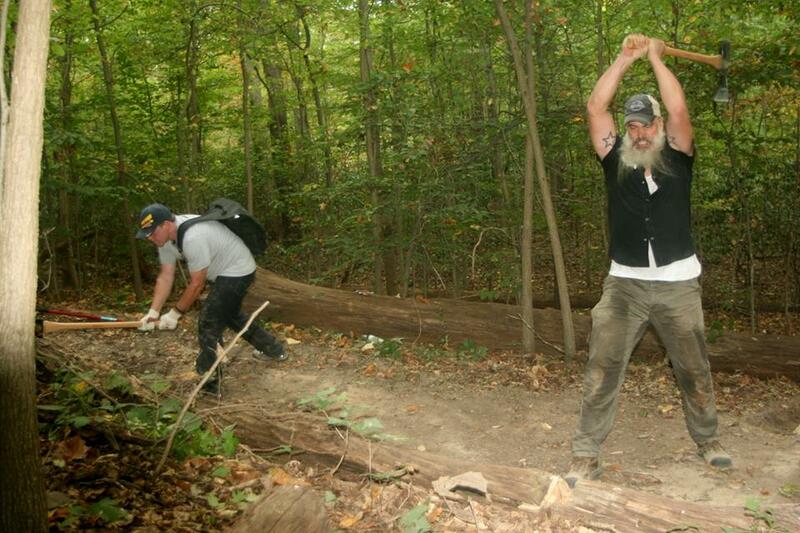 On Saturday, September 17, Daniel and Ken worked with other volunteers from Mid-Atlantic Offroad Enthusiasts (MORE) Meadwood to dig drains, clear branches and patch up the Yard Sale flow trail. 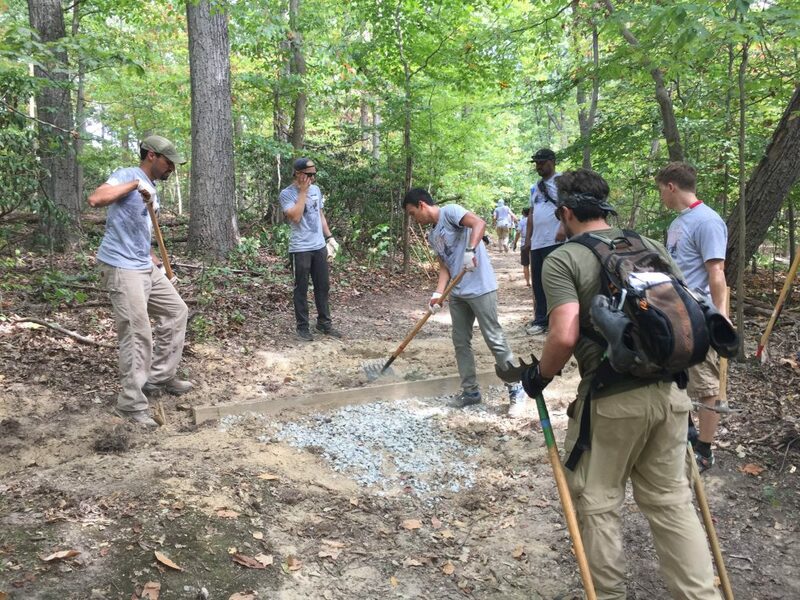 The next day, Mark, Ken, Jed, Joel and Brian helped lead over 100 employees of the soon-to-be open REI flagship store as they did trail maintenance and removed trash from the park at Fort Dupont – the only legal place to mountain bike in DC. Despite the heat and an unfortunate incident with a yellowjacket who got lost in Jed’s shirt, it was a great and super productive day, and we’re looking forward to doing more! 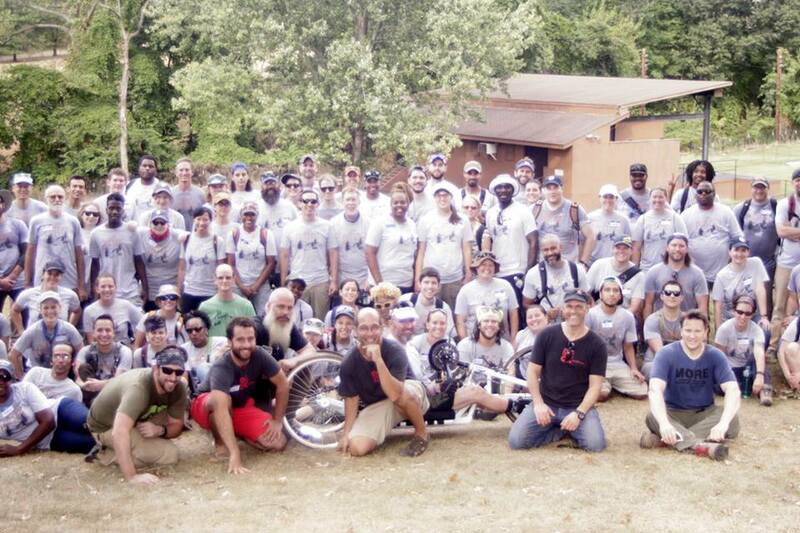 Previous Previous post: DCCX 2016 registration open!